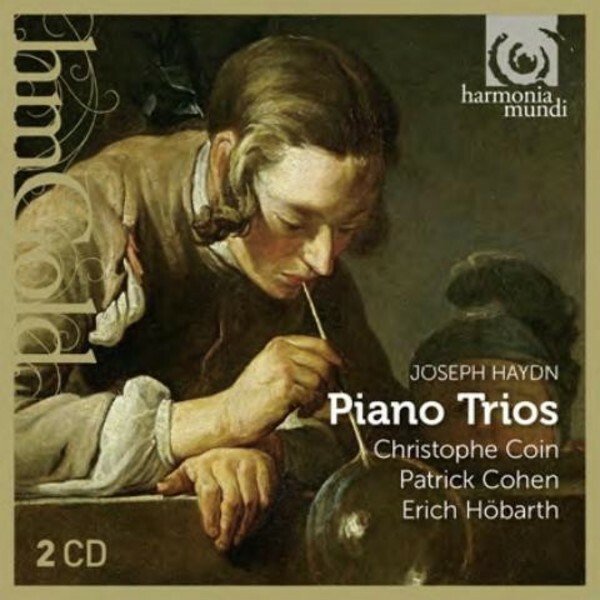 Haydn’s piano trios undoubtedly form the keystone of a genre created just a short time before he began writing them - the Romantic literature offers no body of works of such consistent excellence. In this domain, even the great Mozart did not manage such a perfect match between instrumental style and the musical language of the time. 200 years after these trios were written, three artists, two formerly of the Mosaïques quartet, set out to revive them on period instruments. The result was quite simply revelatory - and here is the quintessence of their efforts. Patrick Cohen plays a fortepiano by Anton Walter, Vienna, 1790; Erich Höbarth plays a violin by G Guarnerius filius Andreae, Cremona, 1683; Christophe Coin plays a cello by C A Testore, 1758. This title was originally released in 1990/93.